1) Snook Property Restoration: Approximately 3,000 cubic yards of material was removed from an eroding bank to create a bench, lower the bank angle, and revegetate the site. Eight engineered log structures were also installed. 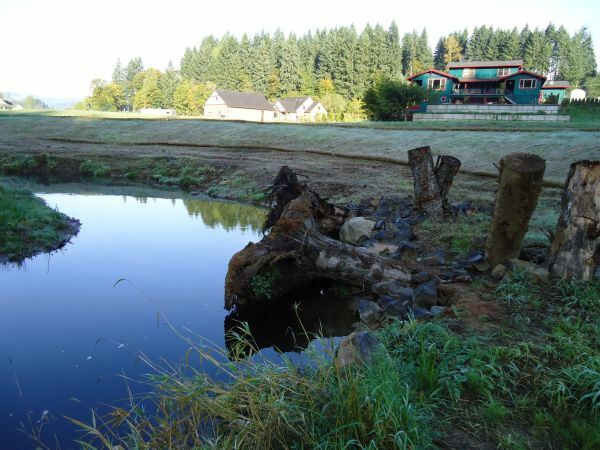 2) Scappoose Confluence: This project is located at the confluence of North and South Scappoose Creek. 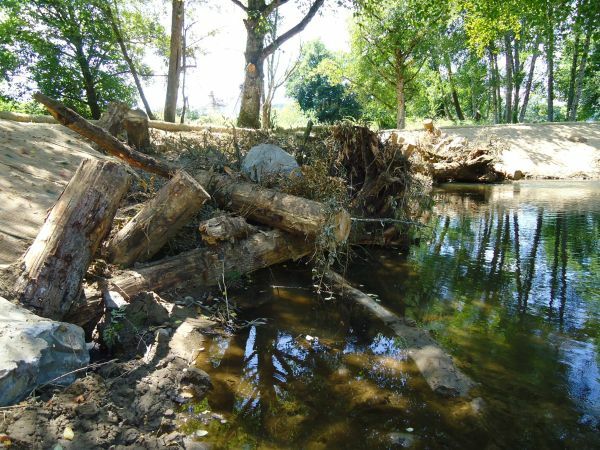 Six engineered log structures were installed, two side channels were reactivated, and large wood was placed on the reconnected floodplain. The ultimate goal was to restore function to this tributary alluvial fan and reduce the impacts associated with channel incision. Waterways conducted all aspects of planning and restoration design for these projects including geomorphology, hydrology, GIS, surveying, restoration design, permitting, construction supervision, and as-built drawings. Our contract totaled approximately $160K for these three projects. The projects were constructed in summer 2011 and will be monitoring by SBWC to evaluate success.